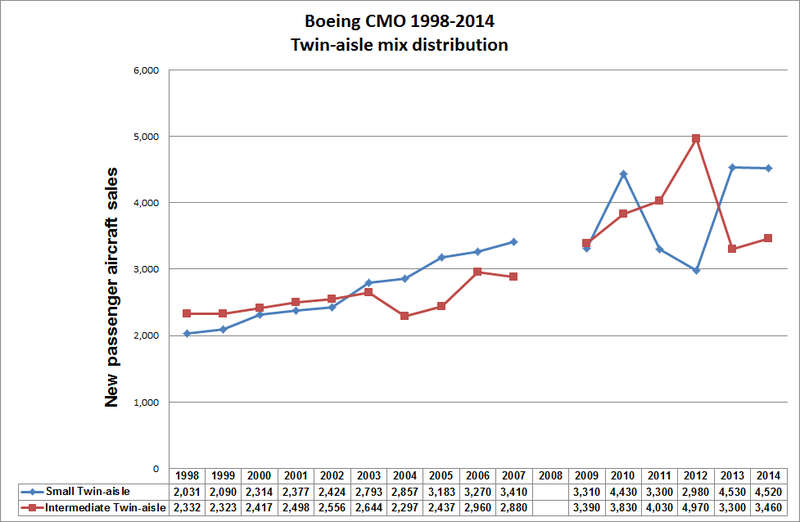 medium wide-bodies: 2,990 a/c in CMO2014. 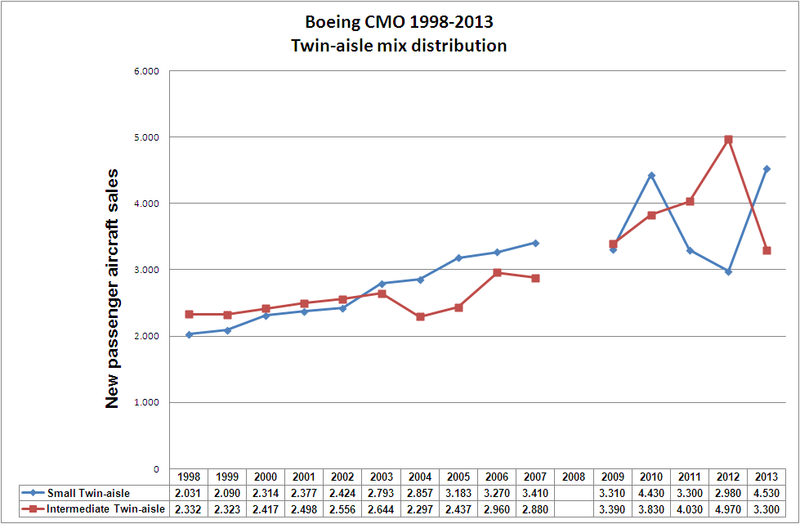 Twin-aisle mix distribution (Boeing CMO 1998-2014). From 2009 to 2014, you can see that both trends in the forecasts are erratic… why? 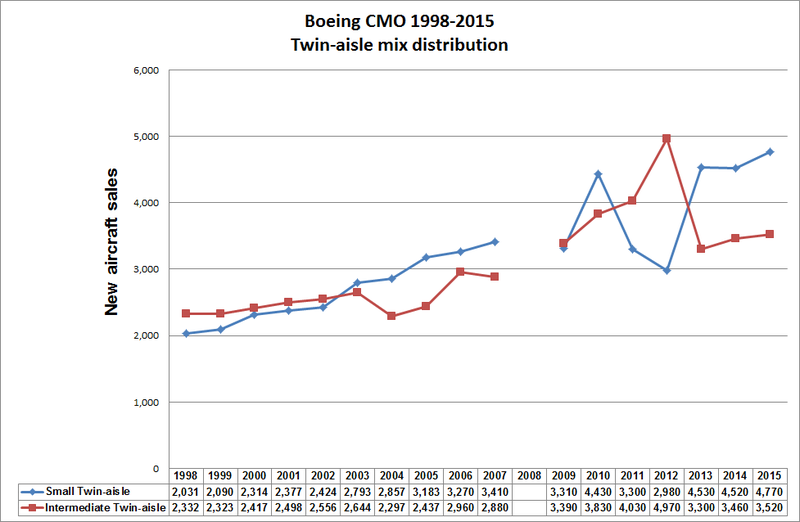 Only Boeing knows.